At the cross on Calvary, Christ shed his blood for me. So I'll wear this cross with pride, my love for Christ I will not hide. 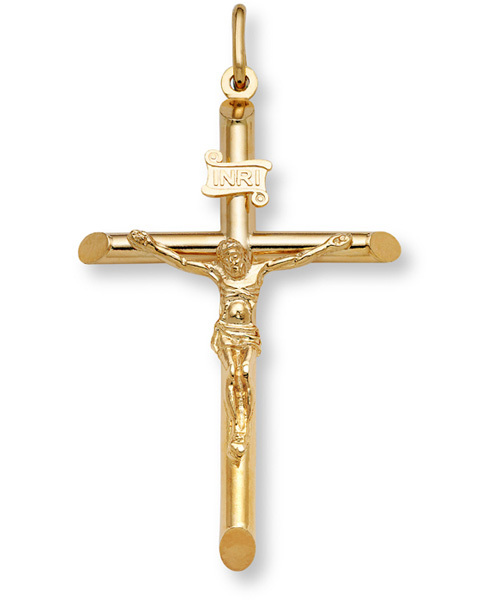 We guarantee our Gold Crucifix Pendant - 14K Gold to be high quality, authentic jewelry, as described above.